• Gomay is prepared from cow dung and cow urine of indigenous cow, which provide all essentials i.e. – primary (natural NPK ) , secondary & tertiary nutrient in balanced form. 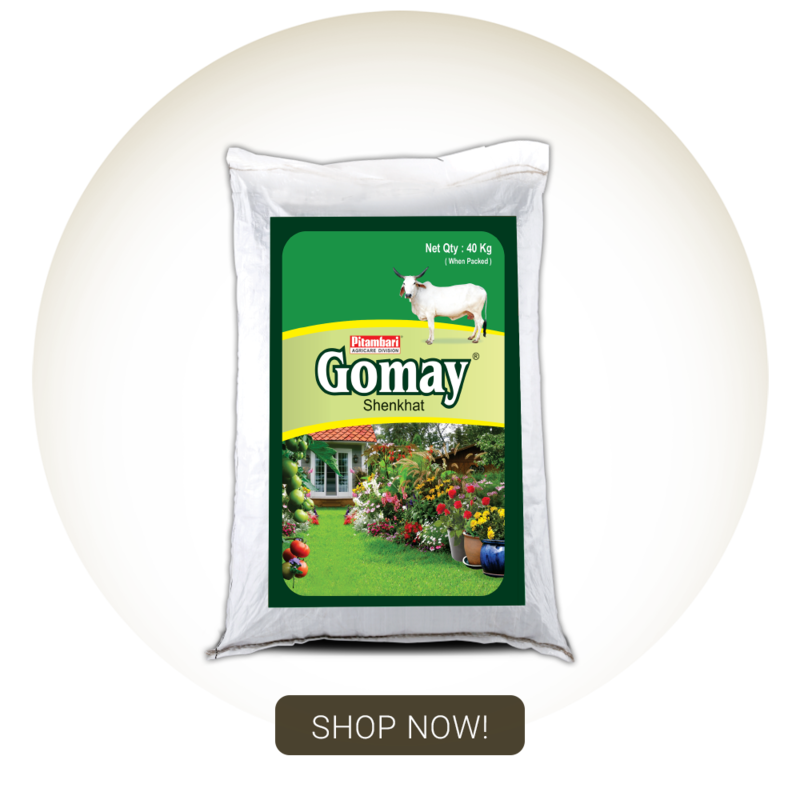 • Gomay is as rich source of Humus, beneficial microbes to soil, hence increases & maintains soil fertility over the period. • Use of Gomay enhances shelf life, luster, color, size & taste of the Product. • 1 gm gomay contains 10-7 useful microorganism which converts inorganic matter and make bioavailability of nutrients to the plants.